It's October and what makes October exciting is the month of Oktoberfest, it's another awesome celebration you wouldn't want to miss! Like every year, Guinness Anchor Berhad (GAB), the leading beer and stout company in Malaysia will be celebrating the iconic German Oktoberfest with awesome promotions!!! It's a celebration filled with joy! 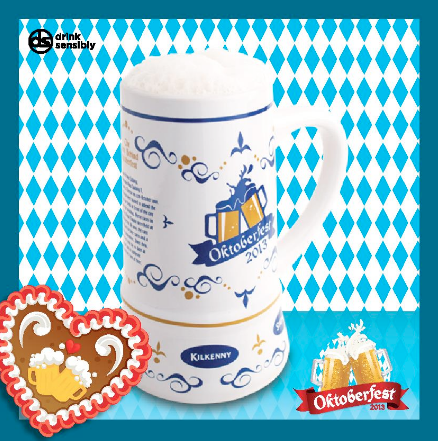 There will be tons of fun Oktoberfest Malaysia events throughout the month of October. From good food from around the world, great fun with exciting contests, promotions and activities and of course, GAB’s selection of award-winning beers including Tiger, Guinness, Heineken and the official Paulaner Oktoberfest Bier, brewed exclusively for the Oktoberfest season. Fyi, Paulaner was first brewed by monks from the Paulaner monastery in 1634 making it almost 380 years old – however it is still the “youngest” of the Oktoberfest Beers. Käfer's Wies'n-Schänke – this is a smaller tent that gets VIP visitors from all over the world and serves signature gourmet food such as “Käfer-Duck” and a roast saddle of venison. Winzerer Fähndl – This tent is also popular amongst VIPs due to its attention to detail, celebrated oompah band called “Nockherberger” and iconic tower with a giant mug of Paulaner sitting a top it.